Music: Hard Rock, Heavy Metal, etc. I finished off one series last night & started another... Tsugumomo I don't know why this has such a low rating on Anime-Planet, I thought it was hilarious & really enjoyed it. I'm really looking forward to the next season, I'll probably even watch it even if it doesn't get dubbed. That Time I Got Reincarnated as a Slime I wasn't expecting much from this one for some reason, however I'm quite happy I was completely wrong with that prediction. So far it's awesome, it's got a little bit of everything in it... I started it thinking I'd just watch a couple episode then go to bed... I watched a couple & decided to watch one more... then another... & another... & that continued until I noticed the sun was coming up. I went through over half the series (14 episodes) in a single night, & I'll probably finish it off tonight too (I already know I'll be watching the second season when it comes out as well). "Not coming in 2019 (I guess most likely 2nd half of 2020)" That doesn't bother me in the slightest, my backlog will keep me more than occupied until then (if not a few years longer than that). 😅 "Will include high performance SSD" Before I wouldn't have cared about that too much, but after upgrading my PC to a SSD, I realize how much of a pro that would be... however it does bring up another concern, the price. If the system itself is going to have a single SSD for everything (I'm assuming at least 1TB), that'll probably bring up the price of the console an extra $100 or more. "Will support physical games" I'm seriously worried about the future of gaming if that even has to be mentioned. 😑 If the day ever comes where systems are digital only, that's when I'm done... I could only imagine how big future games are going to be, if I had to download everything, I'd be lucky to even be able to play a singe game every couple months. "PS4 + PSVR back compatibility confirmed" That's great, because if it is true, that means I'll most likely skip out on buying a PS4 Pro model now (assuming the PS5 will do everything the Pro can & more). So that'll help me save up the cash I need for it. Overall it is pretty interesting news about it. However I doubt I'll be getting it on day-1 no matter what I hear about it... with the SSD, I wouldn't be surprised if the system cost $600 or more at launch, there's no way I'm dropping that much cash on a game system at release (especially after Sony kinda screwed over the day-1 PS4 owners with the Pro version afterwords). The PS4 was $400 at launch, that's about the hight of my comfort zone (that's why it was the first system I ever pre-ordered). I also learned to wait a while for a decent amount of good games to be release first before getting a new console (I didn't get much playtime with the PS4 until probably a year after it released). I may have to go through some of my old signatures, if I rearrange some stuff on them, I could probably make some cool Rainmeter skins with them. nice, I use rainmeter as well! I experimented with animation a little bit too, right now I have Etna sitting on my desktop. It's not as smooth as that gif though, so that'll take a little more fine tuning. 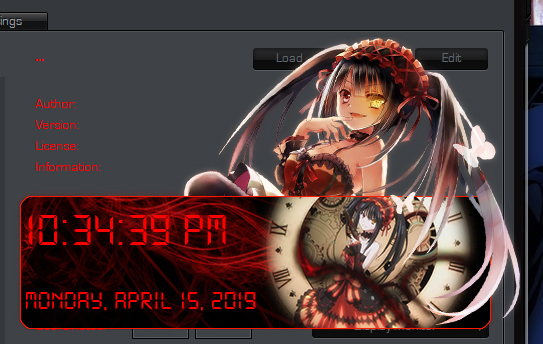 But I never thought about using Rainmeter like that... & animations with Rainmeter don't suffer from a gif's crappy color limit (since they're png). I hate it when stuff like this pops up in my recommended video section 2 weeks after April 1st... I thought it was real for longer than I'd care to admit. The guy who made that video is evil... a genius, but evil too. They'll probably make her a $20 DLC character or something. Seriously i doubt they will ever gives us legit option to revive her, but some reference to it would be nice touch. Well, at least to me. I guess anything is possible, so who knows? 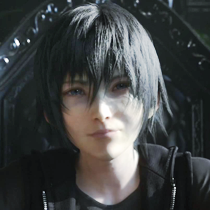 Honestly I lost most of my hype for the remake the more I heard about it, I already know they ruined the battle system, then there's the whole episodic thing, & it may not even have a world map? I also changed the format to JPG instead of PNG since it cut the file size in half. You honestly can't tell the quality difference unless you zoom up like 800% & compare them side by side anyways. @ruffedgz You could only find 15 in there? You're too picky! @Wdjat Prinny Doods #55 also has a Prinny that got stabbed in it... apparently Prinnies have purple blood, I didn't know that. 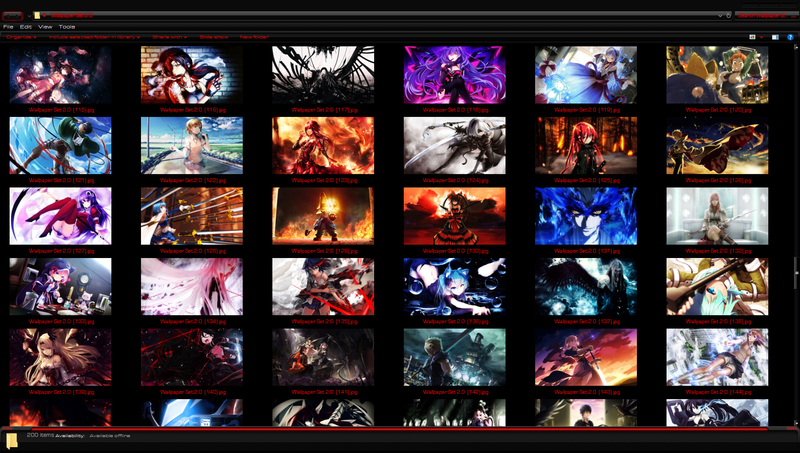 But yeah, I always liked searching around for new artwork, so I figured I'd share the results of my hours of research. Never! They must atone for their past sins somehow, if that involves being beaten half to death with a... folding chair? Or being stabbed by Master Etna, then so be it. Final Fantasy VII: Advent Children -Complete- Decided to watch this again since it's been a while. To this date, it's still one of my favorite movies. I really tried to like Blue Reflection and I don't think it was terrible or anything, but it just didn't live up to my expectations. Cool, I didn't know that feature was already out. & they made the first time free too, that was a pretty big surprise. I'm quite happy with my current account name though, so I doubt I'll be changing it anytime soon. But I wonder how many of my friends are going to change it & I'll think they're a complete stranger? 😅 Now the only problem is thousands of gamers racing to see who gets the hundreds of PSN names that haven't been taken yet. Awesome, a new Utsu-P song! It's about time. Masamune replied to Leon Castle's topic in Community Events, Contests & "We Plays"
I didn't even notice the name on your account was swapped around. 😅 Your account is looking pretty good for only being around half a year old... you even have Star Ocean's plat. I'll get that one again eventually... probably... maybe. @Arthwyn Always happy to make another Sinon one... even if it's like 4AM right now. If I'm not mistaken your other 2 were of Sinon as well. Good choices! I actually don't mind the lack of good PSN sales recently, that's let me save up a little extra for Golden Week.